(Late) Syed Ali Azhar Rizvi. Enrolled as an Advocate of Subordinate Courts on 08-10-1988. Enrolled as an Advocate of High Courts on 01-12-1990. Enrolled as an Advocate of Supreme Court of Pakistan on 18-01-2003. Karachi Electric Supply Corporation from 31-05-1989 till elevation. Karachi Port Trust from 10-10-1991 till elevation. National Bank of Pakistan from 10-01-1991 till elevation. Port Qasim Authority, Karachi since 2002 till elevation. Balochistan Particle Board Ltd. from 01-10-2011 till elevation. Habib & Sons (Pvt) Ltd. from 01-10-2001 till elevation. Partico Pvt. Ltd. from 01-10-2001 till elevation. Part Time Lecturer:From 31-07-1990 to July 1995 served as Part time Lecturer in the Law Department of Federal Govt. Urdu College, Karachi. 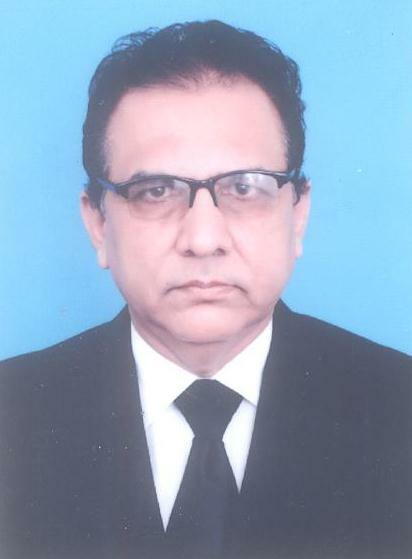 Served as the Assistant Public Prosecutor in District West, Karachi from 03-08-1995 to December, 1995. Before absorption of the said post in regular Government Service as Deputy District Attorney did not take the charge of Deputy District Attorney in regular service.